Kelly of Kelly's Korner is hosting Show Us Your Life Favorite Beauty Tips. I certainly don't have any tips but I am a huge fan of beauty products, so I'll share my top 3 favorites. 1. 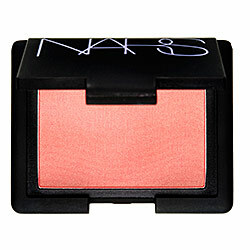 My younger sister introduced me to this great blush and it is fabulous! I have to order it online because I once tried to buy it at the counter and thought I was going to pass out from embarrasment trying to say the name. This stuff is great and really covers the dark circles without looking like you have rings around your eyes. Todd actually brought this to me by mistake when I was on bedrest in the hospital and I love it. It isn't too heavy and shortens drying time. Gotta love the name of that blush. I have never used it but it gets rave reviews, all the time!!! I will have to try that styling cream. anything that can lessen drying time is a miracle worker! I love the PM product. I use something different - it has a green cap - but it speed up drying time as well. When you have kids, every second counts! i know--i went to get that blush at sephora & could hardly ask the lady with a straight face! but it is the bomb--love it! I have heard so much about that blush but have never tried it- I'll have to! WOW! I see Bare Minerals again. I really may have to give it a try! Thanks for the tips! kelly and andrealeigh- totally agree about every second counting....I love any product that saves time! 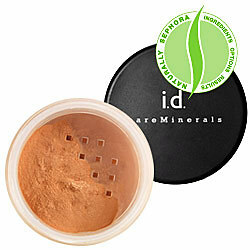 Lori- Bare Minerals is great. I used their foundation powders forever but recently started using a cream foundation as my skin is crazy from pregnancy. Great tips and products!!! :-) Your blog is so cute!!! Im going to have to check out that blush! Thanks for all the tips!! Beth- the blush is always on the favorites list in magazines....it's great! They sound like great products! I'd like to try the blush! I'm blog hopping and found your blog. I'm now following. Would love for you to check out my blog and follow back!